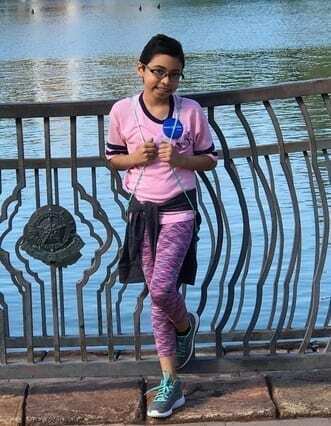 In honor of Sarcoma Awareness Month, we are sharing the story of Daletzi, a beautiful and strong-willed young cancer survivor. Daletzi was diagnosed with rhabdomyosarcoma, a rare form of cancer that develops from skeletal muscle cells, when she was only eight years old. She was treated at the University of Arizona Medical Center with a rigorous care plan and usually hospitalized at least once a month. Daletzi’s single mother, Jasmin, immediately felt the impact her daughter’s cancer diagnosis had on her financial wellbeing. Jasmin was typically able to work only one or two days per week after Daletzi was diagnosed so she could dedicate her time to caring for her daughter. This resulted in her income being cut by more than 75 percent. Jasmin found it very difficult to make ends meet despite persistently working with her social worker to keep her finances on track. Her parents offered to help when they could, but times were tough. Daletzi can't wait to start 5th grade! Daletzi and Jasmin received two grants thanks to the members of the Family Reach network. This assistance covered several mortgage payments and gave Jasmin the opportunity to take care of the bills that had been aside. Jasmin received some peace of mind and could provide Daletzi with the attention she needed. Daletzi finished her treatment in September 2016. She joined gymnastics, serves at church and is looking forward to starting the 5th grade cancer-free. Click here to make a difference in the lives of families like Daletzi’s.